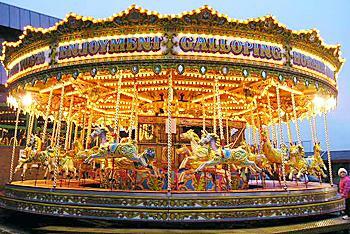 A highly decorative traditional carousel. 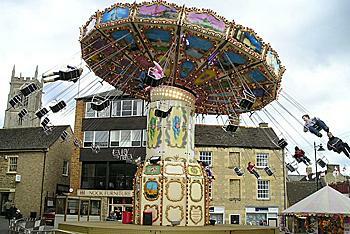 The only fully rider controlled ride. 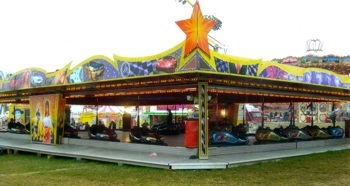 The dodgems give riders the chance to show their skills and have fun circulating the dodgem floor in the custom-look illuminated dodgem cars. A more sedate ride to entertain the crowds. 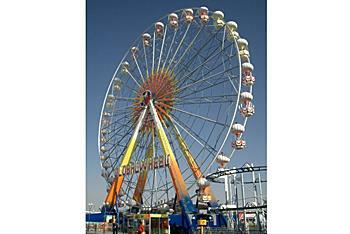 Enjoy the views from the top of the ferris wheel. Suspended from the whirling structure by chains, the chair riders experience the thrill of speed and centripetal force combined with a little bit of fear! A traditional illuminated horse ride. 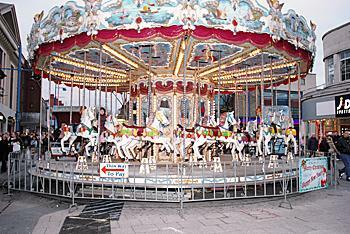 The riders experience the rise and fall of the horses as they round the bend.